Ajenti Server Admin Panel 1 with Ajenti-V Powered by AMIAGE is a web admin panel on Linux and BSD that's easy to install and accessible in all devices. Ajenti Server Admin Panel 1 with Ajenti-V Powered by AMIAGE is a web admin panel on Linux and BSD that's easy and quick to install. 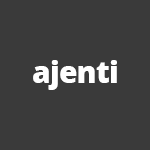 Ajenti supports PHP (PHP-FPM), Python (WSGI), Ruby (Puma and Unicorn) and Node.js. It also works on your current system configuration, so there's no set up needed. With CLI interface, control, deployment, and CI integration becomes easier. Available in all devices, Ajenti can be accessed anytime, anywhere. Ajenti web admin panel is easy to install and supports PHP, Python, Ruby and Node.js. Ajenti works on your current system configuration, so there's no set up needed. With CLI interface, control, deployment, and CI integration becomes easier.